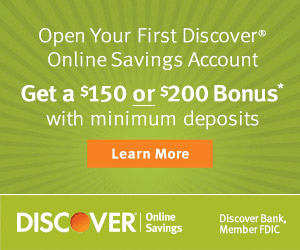 First Tennessee Bank Bonuses are available for those who reside in Alabama, Arkansas, Georgia, Mississippi, North Carolina, Tennessee, and Virginia with bonuses ranging in value from $50 to $450 in cash bonuses for those who open new checking and savings, then meet the required qualifications such as direct deposit or deposit requirements and/or with promo code. If you’re curious to see what other banks have to offer, check out the most updated list of Bank Account Bonuses on BCS! Express Checking – Avoid the $7 monthly fee with at least one direct deposit per statement cycle. Premier Checking – Avoid the $12 monthly fee with a minimum of $5,000 in combined monthly balances (checking, savings, bank IRAs or CDs). 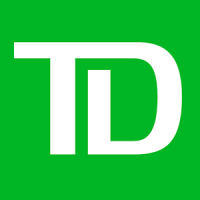 Select Checking – Avoid $9 monthly fee with direct deposit and 15 debit transactions. Classic Checking – $8 fee cannot be avoided. First Tennessee Bank is offering a $450 bonus when you sign up and open a new BizEssentials Checking Account with an opening deposit of $5,000 and a BizEssentials Savings Account with an opening deposit of $2,500, both before June 30, 2019. To qualify for the bonus, all you would need to do open the BizEssentials Checking account with the opening deposit and complete 5 qualifying transactions with the first 30 days for the first $300 with promo code BZD300, then open a BizEssentials Savings Account with promo code with promo code SMBSSV and opening deposit to receive the remaining $150. Once you have completed the requirements, the bonus will be paid within 6 weeks of meeting the requirements. 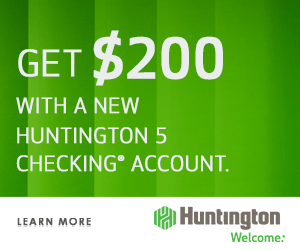 First Tennessee Bank is offering a $300 bonus when you open a BizEssentials® Checking Account by June 30, 2019 with Promo Code: BZD300. 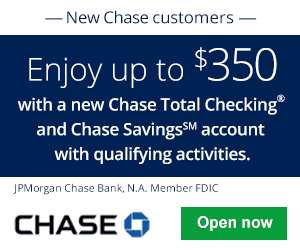 To sign up for a new checking account, open the new account with a minimum deposit of $5,000, and complete 5 qualifying transactions within the first 30 days. After you have met all the necessary requirements, you’ll be on your way to enjoying the generous features they has to offer, while also obtaining your $300 bonus! Open a BizEssentials® Checking account from First Tennessee Bank with a $5,000 opening deposit by June 30, 2019. Be sure to use Promo Code: BZD300. Complete 5 qualifying payment transactions within the first 30 days. Bonus will be deposited into your account within 6 weeks after completing all the requirements. Customer agrees to maintain account in good standing for minimum of 6 months. 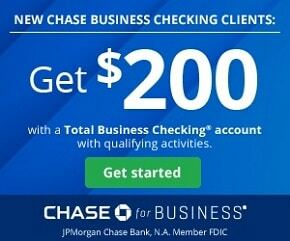 First Tennessee Bank $200 Bonus– First Tennessee Bank is offering a $200 bonus for those who are residents of TN, AR, MS, GA, AL, KY, VA and open a checking account by April 30, 2019. To earn the bonus, simply open a Express Checking account with the promo code DGCB20 as well as providing an opening deposit of at least $50. Once you have done so, be sure to have at least one direct deposit posted to your account within 60 days of account opening. To receive $200 checking bonus, you must open your account at First Tennessee and ensure promo code DGCB20 appears where the promo code is requested. You must have an opening deposit of at least $50, and at least one direct deposit must post to your account within 60 days of account opening. Opening deposit cannot be transferred from existing First Tennessee accounts. If you meet the stated requirements of this promotional offer, the bonus will be credited to your account within six weeks of the first direct deposit. This offer is for new checking households, or for households who have not had an open First Tennessee Express checking account in the previous 12 months. Customer agrees to maintain account in good standing for a minimum of six months. First Tennessee Bank $200 Bonus– First Tennessee Bank is offering you the chance to earn a $200 bonus when you open a new Premier Checking AND Money Market Savings Account with an opening deposit of $300 in Premier Checking and $2,000 in Money Market Savings, then make at least one direct deposit must post to the new checking account within 60 days of account opening with promo code SWT150 valid through April 30, 2019, so hurry on in and get started on your bonus now! Open a Premier Checking and Money Market Savings Account with First Tennessee Bank. 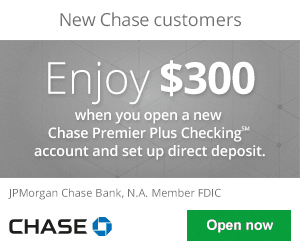 Opening deposit is $300 in Premier Checking and $2,000 in Money Market Savings. Premier Checking: Make at least one direct deposit must post to the new checking account within 60 days of account opening (Online Promo code: SWT150). Money Market Savings: Make total deposits of at least $5,000 in the first 30 days (Online Promo code: SVSC50). This offer is for new checking households only, or for households that have not had an open First Tennessee consumer checking account in the previous 12 months. Account openings are subject to bank approval and may be declined based on certain factors. First Tennessee Bank is offering residents a $150 bonus when you open a BizEssentials® Checking or Savings Account by June 30, 2019. To earn the bonus, you must open the BizEssentials Checking account with $500 opening deposit OR a BizEssentials Savings account with an opening deposit of $2,500. When you have met the requirements, you can start enjoy features like no monthly fees, digital banking, online and mobile banking, free online bill pay, free checks, and free online monthly statements. Present a copy of the offer certificate at a branch. Open your account with a minimum opening deposit of $500. Open your account with a minimum opening deposit of $2,500. Offers are non-transferable and cannot be combined with other offers. Limit one gift card bonus per company. Bonus gift card will be mailed to customer 4-6 weeks after account funding, and will be reported as income on Form 1099-INT for deposit accounts. Checking and Savings opening deposits must be funds from a financial institution other than First Tennessee Bank National Association (“Bank”), which operates as First Tennessee Bank and Capital Bank, or its affiliates. Transfers from any type of account at Bank or its affiliates do not qualify. All offers subject to bank approval. First Tennessee Bank is offering you chance to earn a $150 bonus when you sign up and open a new Checking Account by April 30, 2019. To qualify for the bonus, all you would have to do is provide an opening deposit of at least $100 and at least one direct deposit must post to your account within 60 days of account opening. Additionally, be sure to use the promo code CKG150 at the time of account opening. At least one direct deposit must post to your account within 60 days of account opening. This offer is for new checking households only. First Tennessee Bank is offering a $100 bonus when you open a Checking Account by April 30, 2019. Make sure to use promo code LOCATE when signing up online. To qualify for this bonus, all you have to do is make an opening deposit of $100, then set up and receive a direct deposit within 60 days after account opening. After that maintain the account for 6 weeks and the bonus will be yours. Opening deposit of at least $100, and at least one direct must post to deposit your account within 60 days of account opening. Bonus will be credited to your account within 6 weeks of the first direct deposit if the requirements are met. First Tennessee Bank is offering residents of Arkansas, Georgia, Mississippi, North Carolina, Tennessee, or Virginia, an opportunity to earn a cash bonus of $50 by April 30, 2019! In order to receive this bonus, you must open a Money Market Savings account with the offer code SVSC50. Additionally, be sure to present a copy of a certificate, and make a minimum opening deposit of $2,000 to qualify. Limit one bonus per household. Customer agrees to maintain accounts in good standing for a minimum of six months. Account opening subject to bank approval and may be declined based on certain factors. This offer may be withdrawn or modified prior to acceptance. First Tennessee Bank is currently offering residents of TN, NC, VA, SC, FL, TX a generous $150 Visa Reward Card when you refer a friend or family member for a new Checking Account. To take advantage of the bonus, referring members must be a current account holder of First Tennessee Bank. For those who qualifies, all your referral needs to do is open a new First Tennessee BizEssentials® Checking account with at least $500. Maintain an account in good standing at the bank until the referred party (new customer) completes all Refer-a-Friend program requirements. Referred party must not have a First Tennessee BizEssentials® Checking account. Within 90 days of receiving your referral invitation, open a new First Tennessee BizEssentials® Checking account with at least $500. All referral account openings must be made within 90 days of the referring party’s registration. Accounts opened after this time may result in disqualification. To qualify referred party must follow all steps exactly as described in offer and meet all terms and conditions. Referred customer must complete all program requirements for either party to receive reward. Allow 6 weeks for delivery of Reward Cards after completion of all requirements. 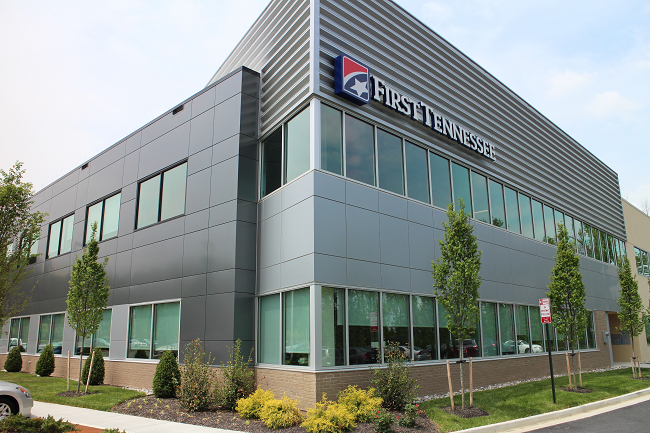 See review here: First Tennessee Bank Referral Review. First Tennessee Bank is currently offering residents of TN, NC, VA, SC, FL, TX a generous $75 bonus when you refer a friend or family member for a new Checking Account. To take advantage of the bonus, referring member must be a current employee of First Tennessee Bank. For those who qualifies, all your referral needs to do is open a new account with at least $100 and complete two direct deposit transactions of at least $100 each within 60 days of account opening. Open a new account with at least $100 and complete two direct deposit transactions of at least $100 each within 60 days of account opening. Individuals under 18 years of age, and employees of the bank and their immediate family members residing in the same household are not eligible. First Tennessee Bank is offering residents of Arkansas, Georgia, Mississippi, North Carolina, Tennessee, or Virginia, an opportunity to earn a cash bonus of $50 by June 30, 2019! First Tennessee Bank $50 Referral– First Tennessee Bank is offering a $50 Visa Reward Card when you refer a friend to open a new checking account. The referring party must be an existing customer of First Tennessee Bank and maintain an account in good standing at the bank until the referred party completes all Refer-a-Friend program requirements. If you live near a First Tennessee Bank location, open any of their checking accounts promotions to earn a $50 to $450 bonus. 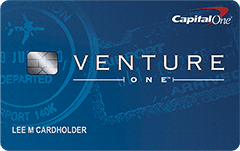 You can refer your friends, family, and businesses to earn $50 Visa Rewards card for each referral. You can also participate in First Tennessee Cash Rewards program to earn up to 10% cash back at participating in-store and online retailers when you make purchases using your debit card. Let us know in the comment section below how these bonuses went for you! If you want to stay updated on all of the Bank Bonuses, you can find them all on one convenient table from BankCheckingSavings!